PBJ is one of the premier corporate jet companies available in the world providing air travel charter services to and from Cleveland, Ohio. Although, there are 20 unique airports within 50 miles from Cleveland, the most obvious selections include the Burke Lakefront Airport (BKL), the Cleveland-Hopkins International Airport (CLE), and the Cuyahoga County Airport (CGF), each of which are located 12 miles or less from the city. We give breathtaking access to a gigantic fleet comprised of just over 15,000 privately-owned charter planes ready to be booked. Examples of aircraft widely used nearby Cleveland, Ohio are the Beechjet 400 A, Citation V, and Hawker 400 XP (light jets), the Hawker 800 XP, Leerjet 60, and Gulfstream G100 (midsize jets) and the Challenger 605, Falcon 2000, and Gulfstream IV (large jets). 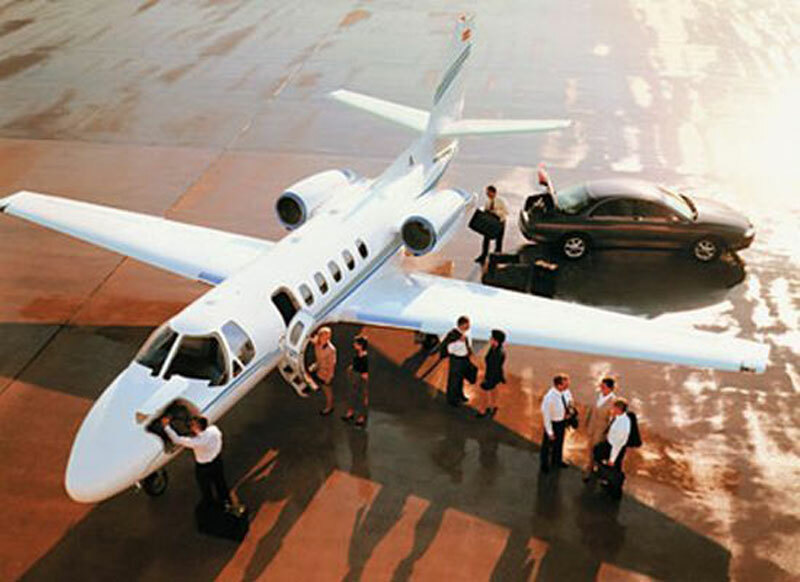 We also proudly supply world class VIP airliner charter services for extremely luxurious private charter needs. Our corporate jet service is accessible day and night; you are welcome to call us at any time to schedule your next trip to or from Cleveland, Ohio. Conveniently spanning 100 miles along the shore of Lake Erie, Cleveland, OH is the United States 14th largest city situated on the world's 11th largest lake. Cleveland is a cultural heart of Ohio, which offers some places of interests such as the Cleveland Museum of Art, Cleveland Museum of Natural History, Rock and Roll Hall of Fame and Museum, Playhouse Square Center, and Cleveland Orchestra. It is also known for the unique character of its many neighborhoods, which mix residential homes and business together to successfully create and preserve Cleveland's distinct city living.